To circumambulate is to complete a circuit all the way around an object. In many devotional practices, the object circumambulated is an idol or otherwise sacred item. The lap or laps can represent the passage of time, a spiritual journey or a funerary or other ritual procession. In the same breath, this walk is a revolution with no beginning and no end and a linear evolution of an event. Each of the artists in Circumambulation investigates an aspect of time whether it is the collapsing of distant timelines into one moment through video, the fabrication of an object made from a daily performative interaction or a reach back into the past from the present. The works in this show don’t just present a transformation as a frozen, crystallized moment in time but they interrogate the process of metamorphosis and that moment’s structure, functioning as performative documents. These artists connect viewers with the past, present, and future, inviting a consideration of how the passage of time shapes and reshapes all things. Ada Pinkston is a multimedia artist, educator, and organizer living and working in Washington DC as a fellow of the Halcyon Arts Lab. Born in New York, her artistic research interest spans the breadth of Social Science, American Studies, African -American Studies and socially engaged community art practices. Over the years, her work has been featured at a variety of spaces including The Baltimore Museum of Art, the Walters Art Museum, the Peale Museum, Transmodern Performance Festival, P.S.1, The New Museum, Light City Baltimore and the streets of Berlin. A graduate of Wesleyan University (B.A.) and Maryland Institute College of Art (M.F.A.) she has given guest lectures at NYU, UCLA and The National Gallery of Art. Her most recent collaborative project includes founding the LabBodies Performance Art Laboratory in Baltimore, Maryland. Danielle Rosen currently lives and works nomadically on various farms and artist residencies throughout the world. She received her BFA from the Milwaukee Institute of Art and Design in 2011 and her MFA from the University of Chicago in 2013. Recent solo exhibitions include COYWOLF at TESSELLATE, Pontiac, MI in 2018, HYDRA at 65GRAND, Chicago, IL in 2017 and TOTEMS at The Ski Club, Milwaukee, WI in 2015. Residencies include the Skowhegan School of Painting and Sculpture in Madison, ME in 2018, JOYA in Parque Natural Sierra María- Los Vélez, Spain in 2018, HEIMA in Seyðisfjörður, Iceland in 2018, Vermont Studio Center in 2018, and ACRE in Steuben, WI in 2017. Rosen’s work has been featured or reviewed in publications including Inside/Within, Jubilat, Chicago Reader, Bad at Sports, Voyage Chicago, Foundwork and Newcity. Rosen’s recent work continues her problematization of human-cultural representations of animal(s), of self. Patricia Rose is a performative platform created by Danielle Rosen. In 2011, Rescue Press published The Institute for Species Systemization: An Experimental Archive under Rose. Projects by Patricia Rose have since evolved to encourage collaborative authorship. With Rose, identity becomes a mutable context in which humans intersect and are invited to perform animality: collectively, polyvocally, and queerly. In 2017, The Museum of Contemporary Art and the Museum of Contemporary Photography in Chicago, IL hosted performances by Rose. In 2018, Velvethorns by Patricia Rose was published in the inaugural issue of Pigeon: A Radical Animal Reader. On December 7th, 2018, Rose will be giving a reading at ACRE Projects. Liz Roberts has screened/exhibited with Ann Arbor Film Festival, Chicago International Film Festival, Microscope Gallery (Brooklyn, NY), Wexner Center for the Arts (Columbus, OH), EMMEDIA Gallery & Production Society (Calgary, Alberta), the Film-Makers' Cooperative (New York, NY), Cranbrook Academy elsewhere. In 2017 she was invited by the Cleveland Museum of Art to create a performance and sound piece in collaboration with musician Henry Ross. Their work, Death Knell, destroys a car as a live performance using only hand tools, recording the sounds with dozens of contact microphones. The resulting audio composition was released as a double cassette by the Cleveland music label Unifactor Tapes. Roberts is a core participant in MINT, a decentralized collective and former warehouse space in Columbus, Ohio. She is currently faculty in Graduate Studies at Columbus College of Art & Design and the Art Department of The Ohio State University. 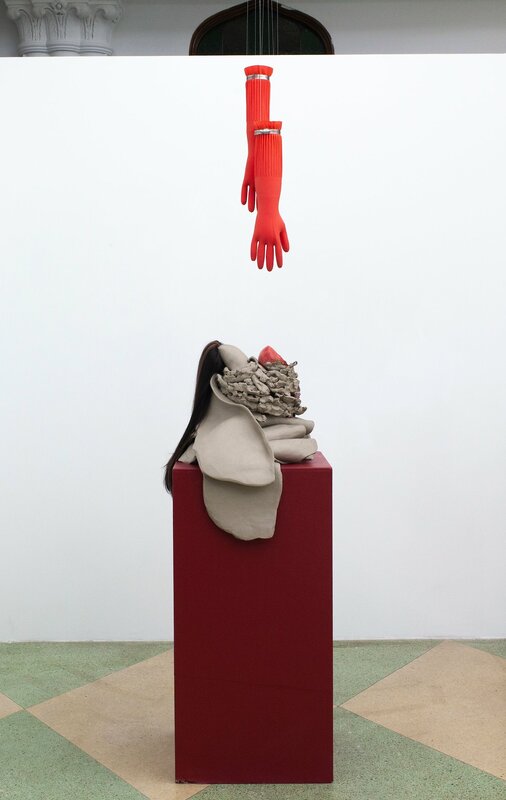 Santina Amato is a multimedia artist whose work addresses the notion of the intimate body, especially the female body. She was born in Australia to Italian immigrants and has lived and worked in the USA since 2010, receiving an MFA (Photography) from the School of the Art Institute of Chicago in 2017. Earlier this year, Amato had her first solo exhibition in the USA titled Monster, supported by the Illinois Arts Council Agency (IACA), Individual Artist Support Project Grant and exhibited at Heaven Gallery in Chicago, IL. She most recently fulfilled the position as Artist-in-Residence at MASS MoCA in North Adams, MA supported by the City of Chicago’s Department of Cultural Affairs & Special Events (DCASE), Individual Artists Program (IAP) Grant and is the Founder and Director of Moving_Image_00:00, a biannual festival in Chicago of moving image works created by Chicago-based artists. She is a current Smack Mellon Hot Pick Artist for 2018/2019 and Fall Artist-in-Residence at Crosstown Art, Memphis, Tennessee. published in Women & Performance: a journal of feminist theory. An honors graduate of Wesleyan University and alumna of the Whitney Independent Study Program, Sonia lives and works in Harlem, New York City. Nathan Florsheim is an artist and educator living in Chicago, IL. His work investigates how photography functions as a representational medium within the exploration of space, memory, and belonging. He currently studies at the School of Art Institute of Chicago, works as the Gallery Manager for ACRE Projects, and teaches photography and filmmaking at the Evanston Art Center. ACRE Projects welcomes all gender expressions and features gender neutral bathrooms. ACRE’s space is wheelchair accessible. Please contact Kate Bowen (exhibitions@acreresidency.org) for more information.